On Friday, September 22, the leader of the DPRK Kim Jong-un unveiled a televised address where he compared the words of US President Donald Trump, about the possibility of the complete destruction of North Korea, with the declaration of war on Pyongyang. On September 19, Donald Trump, speaking at the UN General Assembly, said that in case of a threat to the US and allies, the United States would have to completely destroy the DPRK. As Kim Jong-un noted, Pyongyang, in response to this most fierce declaration of war in history, considers the use of unprecedentedly stringent measures. 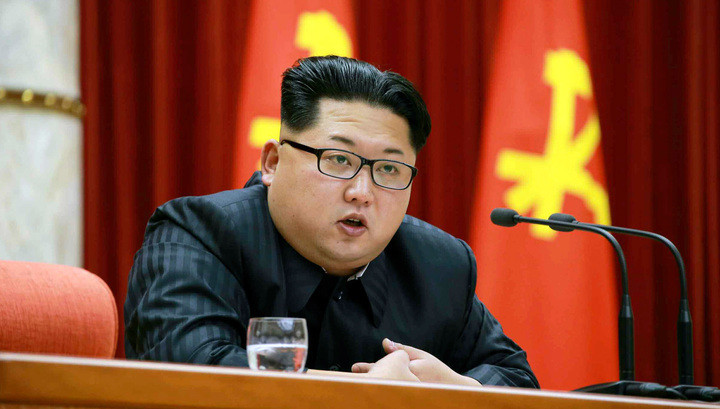 The head of North Korea stressed that such rhetoric only confirms the correctness of the course for the development of the nuclear missile program chosen by Pyongyang. Kim Jong-un has promised that the US president will pay dearly for his words. The leader of the Democratic People’s Republic of Korea said that at present he thinks a lot about the response that Trump expected, making such eccentric statements. In any case, North Korea’s response will surpass the US’ expectations. “I will necessarily tame this mentally unhealthy old man with fire,” Kim Jong-un told.